Dr. Deepika Udagama’s father, Dr. Premadasa Udagama, and my uncle, Prof Ebert Fernando, were not only neighbors but much more importantly, the core members of the pro-SLFP, pro-Left caucus of academics at Peradeniya in the run-up to the 1970s elections. Dr. Udagama, an educationist, became the Secretary to the Ministry of Education during the Prime Ministership of Madam Bandaranaike and piloted the controversial policies of standardization (of which I was critical even at the time), while my uncle (my father’s step-sister Lalitha’s husband) became the Vice-Chancellor of Peradeniya and the official translator of the 1972 Republican Constitution. Wishing Deepika well as she left home for Berkeley, I would have been unsurprised to learn that she would be Head of Law at Peradeniya and a worthy Chairperson of Sri Lanka’s Human Rights Commission –and here I write as a former (elected) Vice–President of the UN Human Rights Council. But I would have been shocked to know that she would be publicly threatened with legalized execution by a stalwart of a probable Presidential candidate of the anti-UNP Opposition; a candidate from a leading SLFP family. While it is good that two statements appeared, that of the Friday Forum and the 54 University academics, exposing and denouncing the lethal threat, it is bitterly ironic that neither statement denouncing this murderous, fascistic threat, nor an adding up of the signatories to the two statements, contains as many signatures of academics and civil society activists as did the statement to the Parliamentary High Posts Committee calling for the withdrawal of my nomination as Sri Lanka’s Ambassador to Russia! That itself shows the abysmal and pathetic character of today’s liberal academic and civil society intelligentsia. However, my parents did not bring me up to gloat over the blunders of my critics and opponents, petty and venal (not mention downright ungrateful) as those opponents might be, but to stand against that which is wrong, and be counted to do the right thing—in short, to be a gentleman. Speaking of which, what do you call a man who makes lethal threats against an unarmed woman? An “Officer and a Gentleman”? Or a fascist? What do you call a man who is a public personality, who makes such threats on the public record? What do you call a man who makes such threats on the public record against a woman who is not only a professor of law but the Chairperson of Sri Lanka’s Human Rights Commission? What do you call a potential Presidential candidate who either doesn’t shut this man up or, if that fails, keep a conspicuous distance from him and instead has him on the platform or in the front row? What do you call a situation in which leading Opposition member and former Head of Law, Prof GL Peiris has not seen fit to condemn this threat against a former junior colleague, and instead is seen seated next to the person who made such threats at public gatherings and strives to include him in Pohottuwa-driven events? The model of the Sinhala Alt-Right is by no stretch of the imagination anything remotely like the model of Vladimir Putin; on the contrary, it is the policy of Vladimir Zhirinovsky. Worse, it is the policy of those elements in Central and Eastern Europe (e.g. those armed subversive elements in Kiev’s Maidan) who have upended history and morality, applauded Nazism and denigrated the Red Army as well as its own heroic national partisan traditions of anti-fascist resistance. No country celebrates the victory over Hitlerite fascism as does Russia, on May 9th each year. It is not simply because that was the defeat of an invading army—if that were the case, Russia would celebrate with equal pomp the defeat of Napoleon’s invading armies. Russia celebrates May 9th 1945 precisely because it was victory against Fascism, and marks the pre-eminent contribution of Russia and its Red Army to saving the whole world, including the Western liberal democracies, from the very worst political evil that history ever produced. The recent local reference to Hitler didn’t come out of nowhere nor was it a mere slip of the tongue. A dark dirty secret of the Sinhala-Buddhist Far Right is that back in the 1930s and 40s, it had a soft spot for Hitler and the Japanese militarists, just at the time that Asian anti-imperialist giants such as Mao and Ho Chi Minh, and their counterparts in Malaysia and the Philippines, were spearheading the anti-Japanese resistance war, even cooperating temporarily with their erstwhile domestic enemies and Western colonial powers. It is all a question of values. In a historical situation, local and national, in which populist change is irresistible, the worst option is entrenchment in an obsolescent, crumbling status quo. If the US Democrats had got behind Bernie Sanders instead of sticking with the neoliberal globalist agenda and candidate, the change that inevitably came would have been of a drastically different sort—as New Zealand made earlier, Mexico has just made and the UK is poised to. It is those who chose to tilt against Bernie Sanders who are responsible for the global Alt Right tides that have even reached and energized their counterparts in Sri Lanka. The lessons must be learned here. Those who wish to avoid a fascist future cannot remain passive or plug for their ideological comfort zone, the status quo. (I notice that the hundred signatories against me are those who adhere to the triadic policy of federalism, neoliberal economic reforms and wartime accountability with foreign participation!) Liberal statements alone won’t do. As the Uruguayans used to say “no sheep ever escaped slaughter by bleating”. 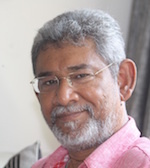 Prof Kumar David’s Sunday sermons notwithstanding, liberal cosmopolitanism and a neoliberal-left alliance cannot even begin to countervail let alone stop the rising Sinhala Alt-Right tide. 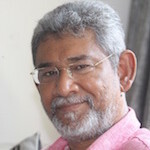 Almost as infantile in these dangerous times in which the highest stakes are involved, is an undifferentiated, frontal, moralistic “Stop all the Rajapaksas” slogan– which could have the remotest relevance and resonance only if the UNP shifts to a 1988 type patriotic-populist candidacy. Only a progressive, patriotic populism, rooted in and resonant among the Sinhala masses, especially the peasantry, can stop or retard the Fascist tide. In world history Fascism was effectively fought only by a broad Popular Front at national and international levels, and in Asia, this meant peasant-based movements, carrying the banners of national liberation and rural reform. In the absence of such a Movement, serious responses have to rely on the basic concepts of politics proper: the balance of power, the working on/ working out of internal contradictions and the identification of the lesser evil (for the latter, see Michael Ignatieff, ‘The Lesser Evil: Political Ethics in an Age of Terror—The Gifford Lectures’ Edinburgh University Press). In the context of the discussion on Fascism, I recall a conversation in the summer of 1985 in Moscow. In 1985 the World Festival of Youth and Students was addressed by two old time revolutionary heroes. One was Miguel Marmol, a leader of the 1933 communist uprising in El Salvador led by the iconic Farabundo Marti. The other was Kurt Julius Goldstein, German Jewish Communist, veteran of the Spanish Civil War, survivor of Auschwitz and Buchenwald as well as the notorious ‘Death March’, and the head of the World Federation of Anti-Fascist Resistance Fighters. My extended conversation with Goldstein was two years after July ’83 and I asked him what the main lessons were that he drew from his experiences and those of his heroic comrades. I asked him the main mistakes the antifascists of the 1930s made, the mistakes that he would not repeat if he were put on a time machine. I recorded his answer in the Lanka Guardian of that time. He said that the biggest error the Left made was to confuse nationalism, chauvinism and fascism: “we should have united with nationalism, even chauvinism, to fight fascism; instead of which we treated them as all the same”. He said– and I published it at the time– that they, the Left of that day, confused nationalism, populism and chauvinism with fascism, and that they should have differentiated between these and fascism, adopting a strategy of uniting or working with all those diverse (even unsavory) elements of an anti-status quo orientation who could be united, neutralizing those who could not, and identifying, isolating and targeting the fascists. He said the Left was insensitive to the grievances of those misguided social forces and did not know how to approach them– which opened the space for fascist appeals to resonate and monopolize. I believe the same mistakes should not be repeated today. One must not fail to grapple with, and adopt a new approach, to the phenomena of nationalism and patriotism, including Sinhala nationalism and patriotism. The fight against Sinhala fascism must be waged by and from within the national political mainstream and must resonate with and within it. Sinhala fascism cannot be defeated by frontally opposing Sinhala Buddhism or Sinhala nationalism as such. Nor can it be defeated outside of a national-democratic strategy to build a united Sri Lankan nation and state, resisting external interventionism and Tamil secessionism. This means a patriotic, popular-democratic platform, but may well require the adoption of a populist and patriotic one which includes a nationalist plank. This is no time for faddish pseudo-intellectual posturing from a far left lunatic fringe or deracinated cosmopolitan civil society caucus. The price of failure is the ultimate one.